These fitted diapers are now ready to ship from my Esty shop. Colored Snaps and matching thread. 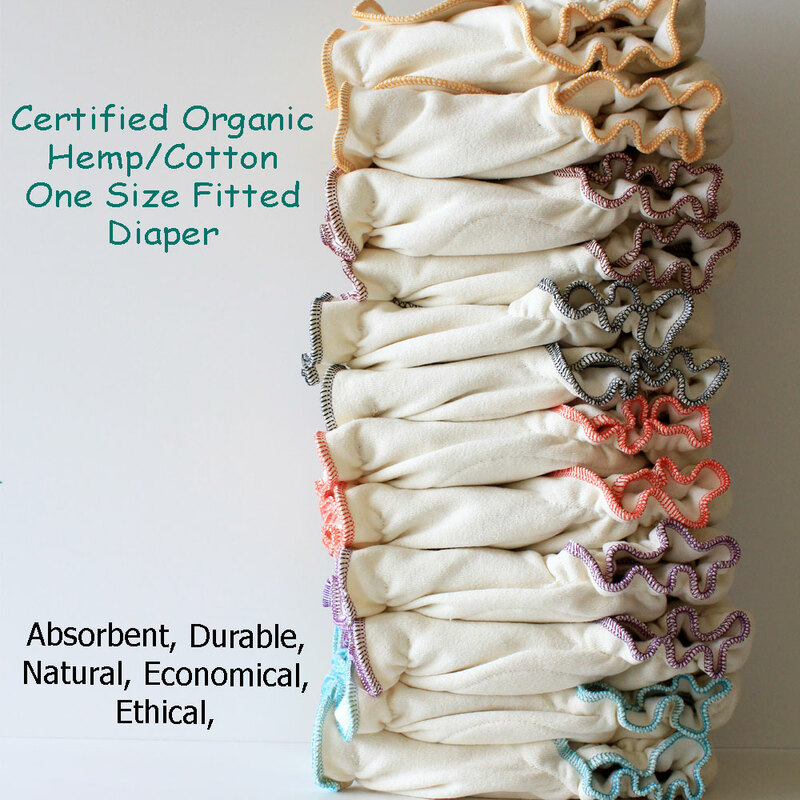 This is our One size fitted “Certified” organic diaper. Made with a layer of hemp terry and an inside layer of hemp fleece. All our hemp is CERTIFIED organic. Unbleached cotton elastic are sewn at the legs and back for a soft but snug fit. 2 layers of hemp terry is sewn inside this diaper. This diaper comes with a snap in 3 layer doubler. This doubler is made with 2 layers hemp fleece and a hidden layer of hemp terry. The snap in doubler is used when the diaper is at it’s highest rise. When you fold this diaper front down for a smaller rise, used for newborns, you do not need the snap in doubler. This fitted diaper comes with an extra 2 layer liner. This liner is all you will need for the smallest setting. Providing a total of 6 hemp layers. Once you are ready to use the snap in doubler and 2 layer liner, you will have a total of 9 hemp layers. This makes an extremely absorbent night time diaper for heavy wetters. The diaper features high quality snaps with fold over wings. All the materials that go into my products are carefully sourced for content, quality and ethics. 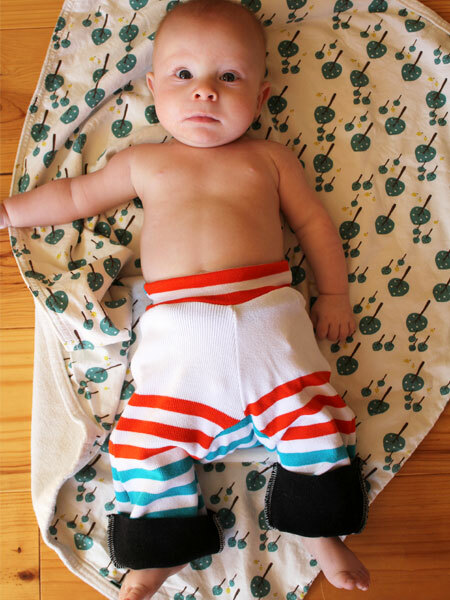 I design, cut and sew these diapers in my home studio using industrial machinery. Our Hemp requires no chemicals, pesticides or irrigation to grow. The plant does not deplete soils, instead it adds beneficial nitrogen and micro-nutrients. Inherent qualities of hemp fabric are it’s natural anti-microbial characteristics being very resistant to bacteria, mold, mildew and fungus. This quality helps to prevent and even eliminate diaper rashes on babies. Stress tests on hemp fiber have revealed that it is eight times stronger (tensile) and four times more durable than cotton. The unique structure of hemp fibers in fabric make it very absorbent yet breathable. 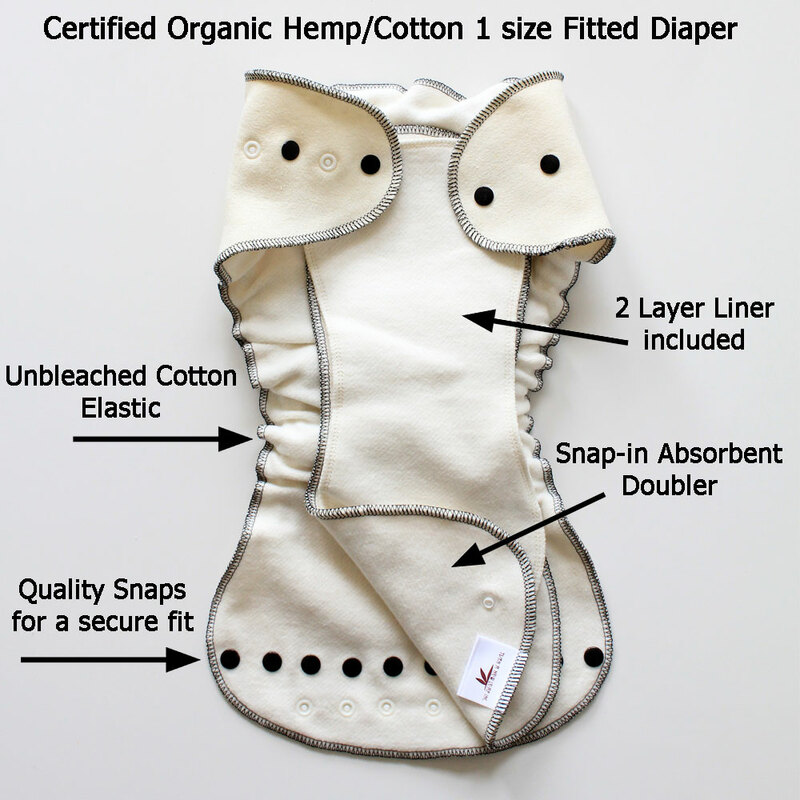 All these natural and unique features inherent to hemp make for an ideal material for cloth diapers. 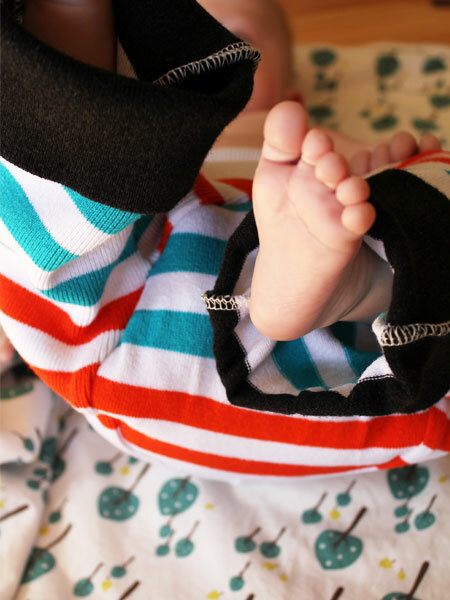 I have been using the Apple Dumpling pattern for recycled wool diaper cover/ longies. 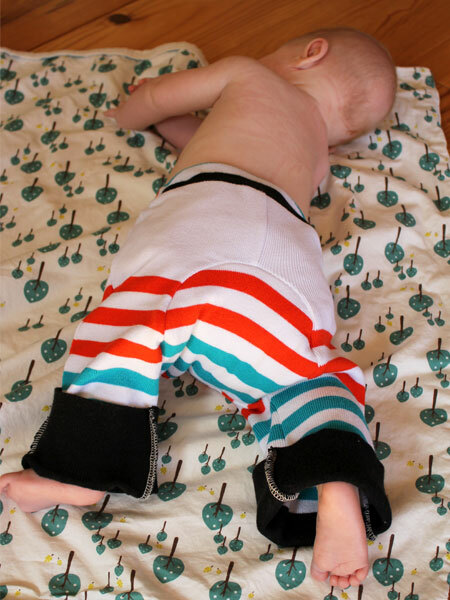 Now that spring is in the air, and the weather is turning, I have made some recycled cotton pants for Silas. The extra BUM center adds ample room for even the bulkiest diapers. Comfy for baby. Silas is moving more each day so he’s not constricted with those tight pants that never fit nice over cloth diapers. “All you cloth diapering moms know how frustrating this is”. A great way to recycle unused cotton shirts that you never wear or have become too small. It’s endless how many different custom looks you can make with old shirts. Fun, easy to use pattern. Our Wool/Hemp fleece nursing pads are very popular and most new moms need care info for these due to the wool backing. I include care instruction for washing my wool products with every purchase of wool diaper covers, puddle pads or wool backed nursing pads. After purchasing any of these items many buyers return to buy some wool wash and Lanolin. 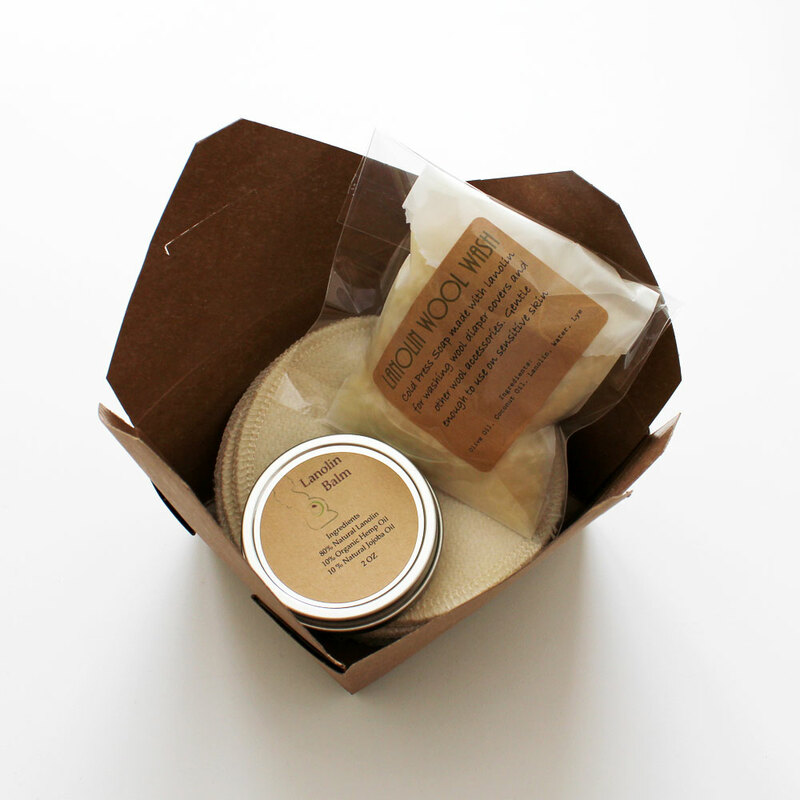 Now you can get a complete nursing package in this Recycled Kraft box set. 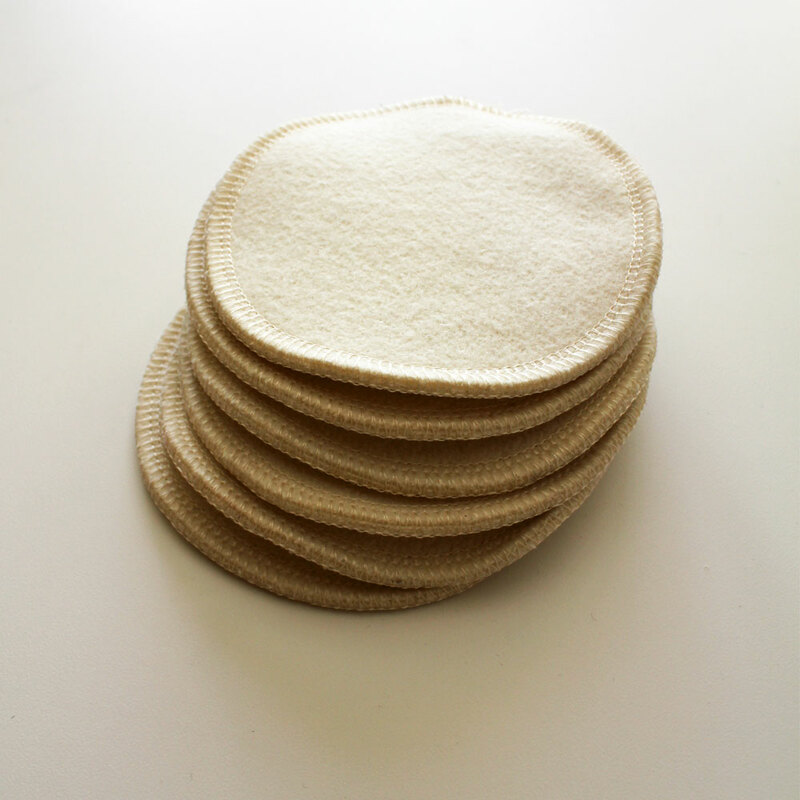 3 sets of wool/hemp fleece nursing pads. 1 tin of our silky Lanolin balm. Free Wool wash soap flakes. Get more info on our gift box set in my Esty shop. Makes a wonderful gift for your next baby shower.